How to Jailbreak an iPhone or iPod Touch. You are here: Home / How to Jailbreak an iPhone or iPod Touch. There are a few ways to Jailbreak an iPhone or iPod Touch. 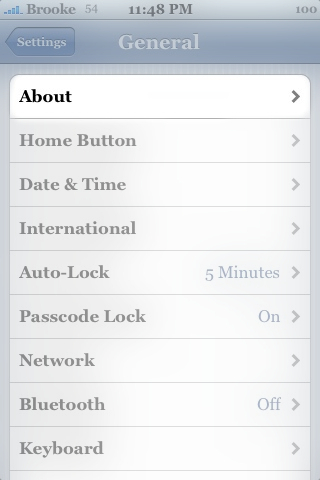 For instructions on how to jailbreak your iPhone or iPod Touch, see our Jailbreak Page. However, before going to the Jailbreak page you will need to know a few things; whether you have an iPhone or an iPod Touch, if you are using a Mac or a PC and what version firmware you have on your on device. 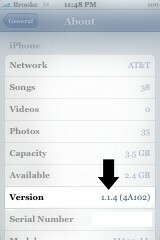 You can find your firmware version by going into Settings on your iPhone/iPod Touch. You will then see the Version number. 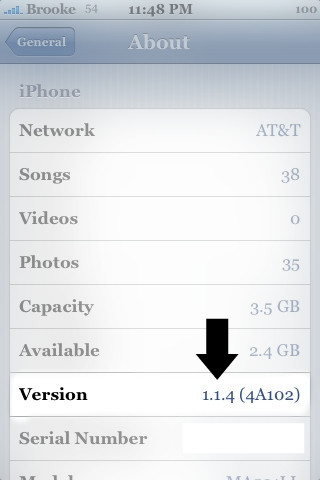 The version number is the version of firmware that is on your iPhone. The Jailbreak page is broken up into Categories. Be sure to read carefully and find the jailbreak that best suits you based on whether you have an iPhone or and iPod Touch, a Mac or a PC and what version firmware you have. I have a new iphone 4.1 and when I went to upgrade the software on itunes,it locked my phone and wiped off all the software on it,rendering it useless. I want to know how to fix it. Hi I jail broke my 3gs a year ago and its the best thing I ever did.The only problem I have now is that I cant upgrade because it keeps saying I need to get apt-get to sort this out.Can anyone help me get instructions on how to get this please? Uhm no. It’s not safe. it voids your warranty, it makes Itunes ignore your phone so no more updates for your LEGALLY gotten apps. And when you try to get customer service they tell you that you have to buy a brand new phone at full price or wait for your contract to expire to get a new iphone. Until then you’re stuck with which ever FAIL OS you started with at the time of the jailbreak with no customer service or technical support from Apple or your cellular provider and they mark it on your contract that you jailbroke your phone and often decline to renew your contract at the end. So if you really want these features go through the proper channels and tell Apple to stop trying to control your mind and world and give you the features you want in the next upgrade. Or hey..go ahead and jail break your phone and be a criminal and a sheep.. everyone else is. I know it’s an old post, but it’s wrong. The Court ruled that Jailbreaking is NOT illegal. That was in 2010! I was recommended this web site through my cousin. I am no longer certain whether or not this submit is written through him as nobody else recognize such certain approximately my problem. You’re incredible! Thank you! Its like you learn my mind! You seem to know so much about this, like you wrote the book in it or something. I feel that you just could do with a few percent to drive the message home a little bit, however other than that, this is wonderful blog. A fantastic read. I’ll definitely be back. 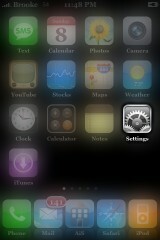 I am having a problem downloading jailbreakme.com on my iphone 4s. Everytime I try cydia does come up but it says that it is not supported on my device. Can anyone tell me how to fix this. How do I jailbreak and will my current apps and data be erased? If so how can I save or restore my data ? hi i have new iphone5 and i want to know that how to make font big and number big and when i send sms i should get deleivry report that sms has deleverd plz tell how this all isue can solved ?